THE Department of Trade and Industry (DTI), led by its minister, Rob Davies, was instrumental in assisting mines minister, Mosebenzi Zwane, in the controversial redrafting of the Mining Charter, said Fin24 citing a written response heard in Parliament today. Quoting a response to a question posed by Dean Macpherson from the Democratic Alliance, Fin24 quoted Davies as saying the DTI and Department of Mineral Resources conducted consultations at a ministerial and senior government official level regarding the development of a “Transformation Charter” in terms of the Mineral and Petroleum Resources Development Act (MPRDA). Macpherson told Fin24 that it was “very concerning” Davies in his capacity as political head of the DTI supported the “devastating” Mining Charter. “The question is, how could he agree to something that is clearly so bad for the economy? It was at the very least deeply reckless. This means he basically helped to craft this lunacy Charter,” said Macpherson. Remember – Davies is a communist . He is culpable in the decline of the economy by adhering to out dated ideologies with the portfolio of trade and industry. He just had to ensure that zwane adhered to the prevailing ideology. Vlad, old friend, I think you’ve just impaled yourself on your outdated, Cold War view of communism. The last European Communist Parties (cf. especially Italy) broke with Stalinism and slid seamlessly into either mainstream social democracy or outright neoliberalism; trying anything to get close to influence in the sphere of state power. The SACP is no different, and has followed a path which has, at best, pushed for ‘heterodox’ economic policy (cf. Stiglitz, Rodrik, Ha-Joon Chang, Krugman etc.) At worst, it has cravenly succumbed to the (‘National Democratic Revolution’) organizational Stalinism of the ANC (the only part of ANC reflexes that pretends to progressivism, while stamping out anything that gets in the way of its rent-seeking accumulation project. 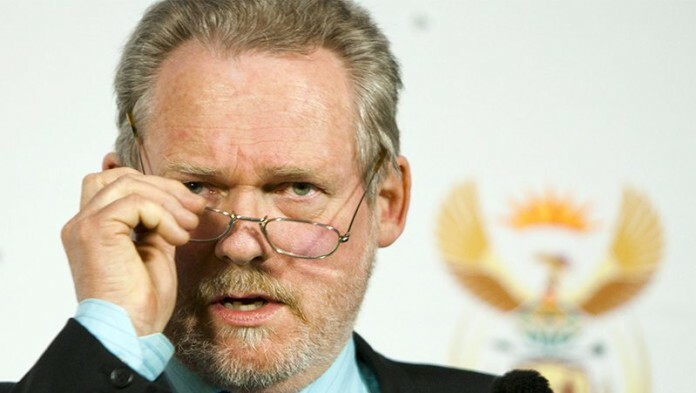 Guys like Rob Davies are on the social democratic side of things, trying (with whatever errors) to address basic questions of unemployment, poverty and inequality – which, if not addressed, will sink us all, while the crooks redeploy to Dubai. ‘Being a Communist’ has no real meaning any more. It’s just an organisational legacy, under which many things (some helpful, some purely opportunist) can be done. One more thing, in the old days of mainstream Communism it was possible to subjugate the so called wealthy or bourgeoisie and steal their money… Now it is a global playing field and the so called wealthy are leaving in their droves, along with their capital. At the end of the day they will reduce inequality… By making everyone equally poor and with virtually no tax base to support the state. That is where South Africa is heading..